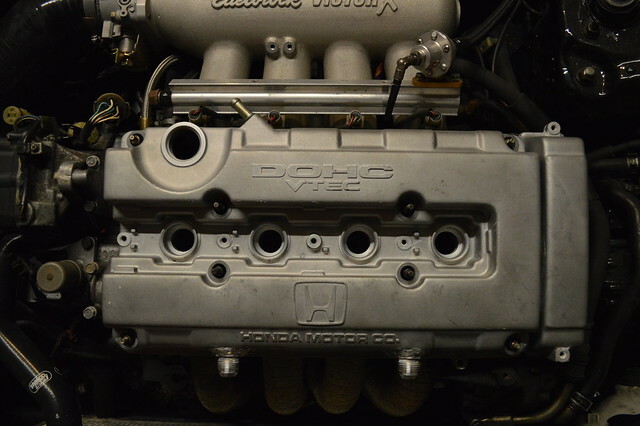 I've already had the fittings welded onto another rocker cover and had it soda blasted, also I want to do it black. Thanks for the offer though bro. 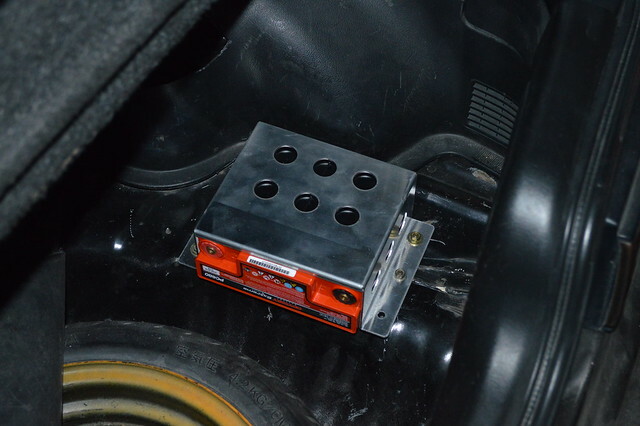 Bought a brand new Odyssey PC680 with a nice machined aluminium bracket, rivnuts fitted and battery secured neatky in the boot. 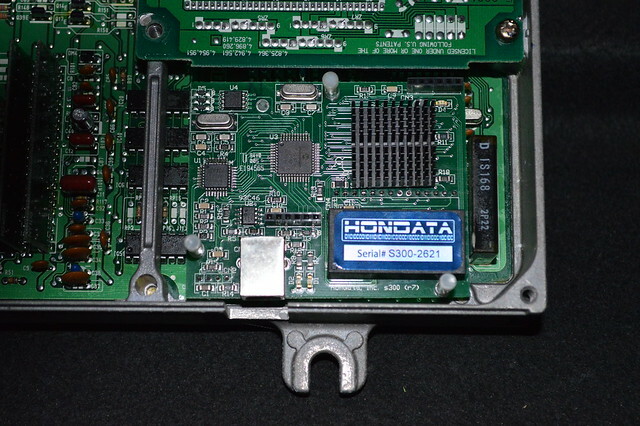 Just need to feed the live through the car and earth it up from somewhere solid in the boot. 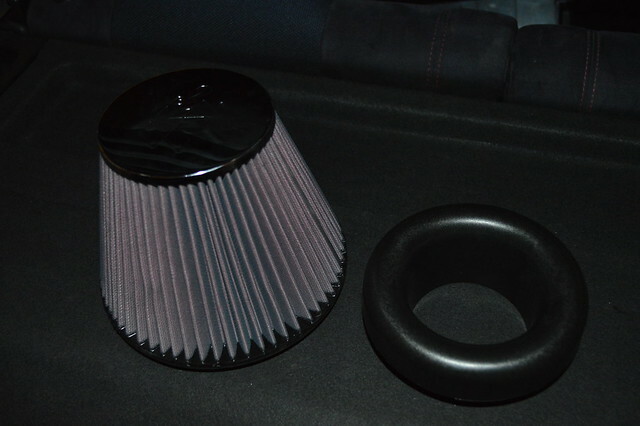 BPi 3.5" V Stack with matching (massive) k&n filter. 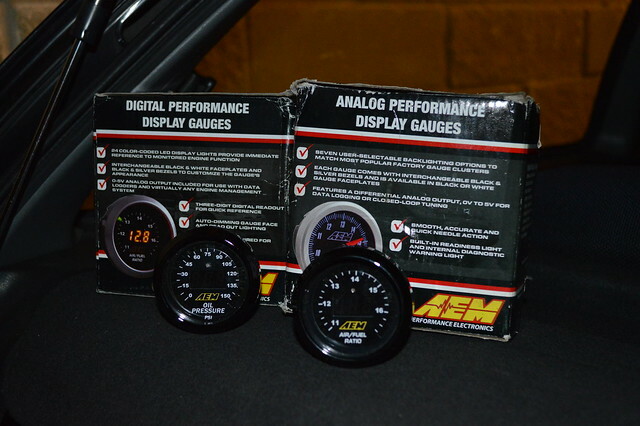 2 very important gauges, not a fan of gauges but these are not too big and are subtle when fitted with the black bezel. 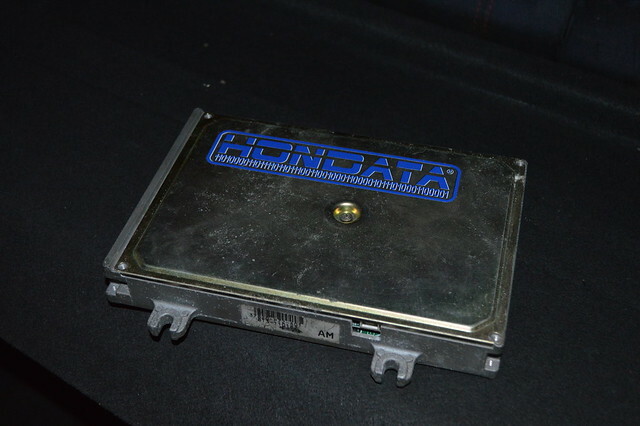 Hondata S300 already fitted to OBD1 P72 ECU. 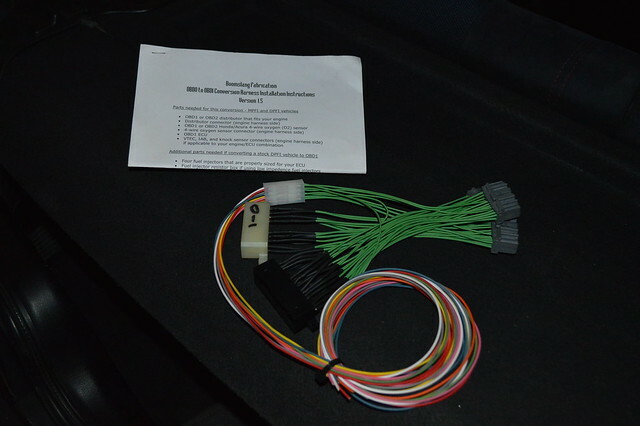 Boomslang OBD0-OBD1 conversion harness, probably the best quality and most simple one out there. 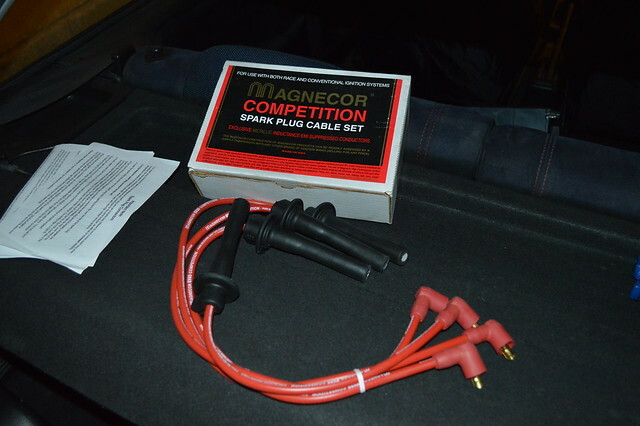 New set of Magencore KV85's. 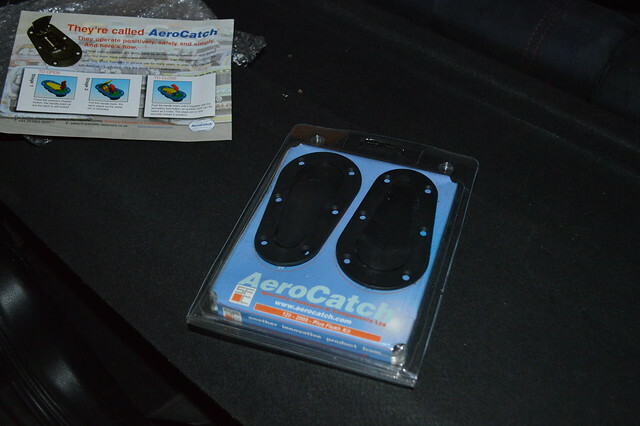 Aero Catches to go with my brand new Carbon Fibre bonnet. 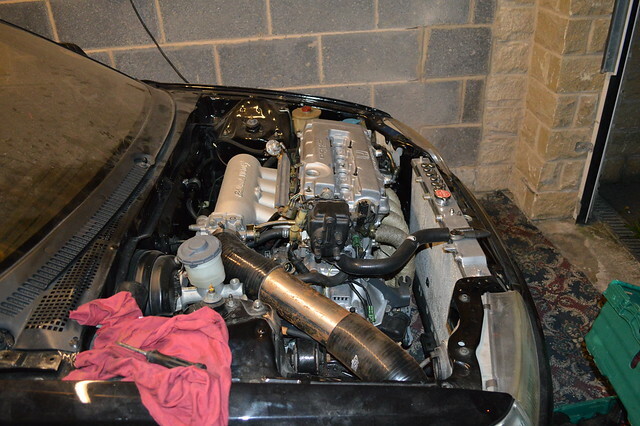 If it was me T, I'd get the intake custom made out of alloy and all tigged up in place with some nice steady curves.... will be easier to get it to fit and look alot nicer IMO. Had a read of this you've done a great job it will be a mover when its finished!! Proper itb's is ££££, I would need a custom setup. 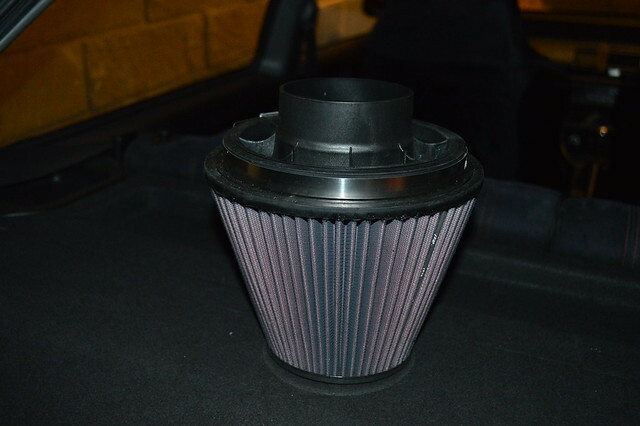 A good plenum setup can make the same power, drive better day to day. I wish I could have a nice aluminium intake pipe, but I don't know anybody that can bend that stuff, especially in 3.5". It's hard making something fit in these cars when they weren't really designed for this mark, like the 1" mc and edelbrock victor x combo. 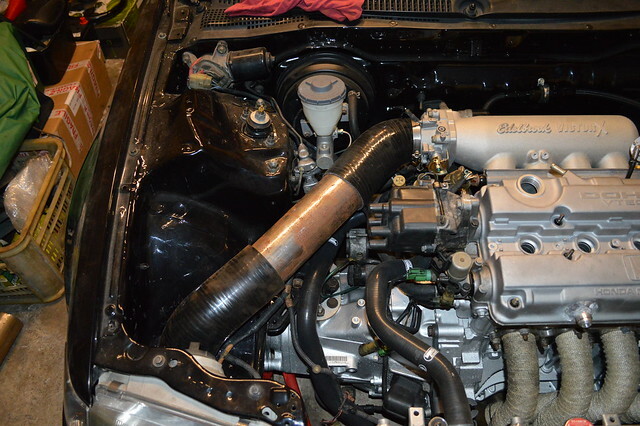 Then add a 3.5" intake pipe to the mix and you're really pushing it. Last edited by EE9 CVC on Tue Mar 25, 2014 12:45 pm, edited 1 time in total. Pipe is easy, but depends if you are willing to travel. My fuel tank, radiator, catch tank, intercooler, suspension, rear brake setup, oil sump, engine mounts and more is all specced by me and custom made for the Datsun so sorry if I don't think getting a pipe made is a problem. 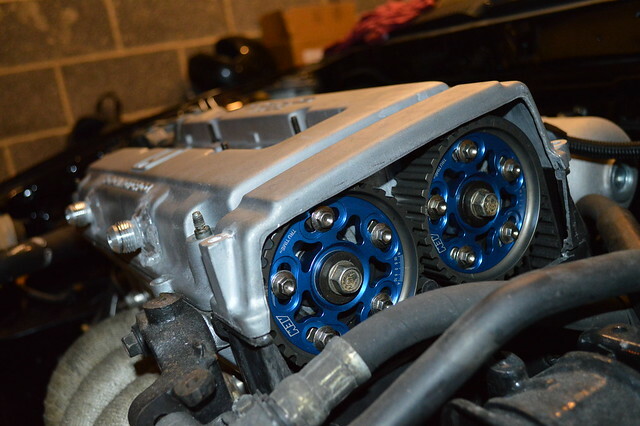 I'd recommend Pro Alloy in Suffolk, they should be able to do a very nice job for you, get it running with the current intake and a basemap and then drive it over to them, get them to make you a custom setup which will look great and flow well and you're sorted. They made my fuel tank and are making my intercooler and radiator from my blueprints. So not using the TE37's then ? They wont bend the pipe it would be Lobster Back Welded... looks coooooool! hehe, noo put battery where mine is! it ftw if you have a cable clutch. this is where I am with mine ive got all the pcv fittings in my rocker and have a catch tank im just welding brackets up for it etc and mounting my FPR on it too. If you were local, Rich could make your intake we got a massive TIG for ally a while back. It's a hydro clutch setup on mine, with a cable to hydro convertor. I might just use the current air intake setup temporarily and get a proper one made by somewhere after it's run in. Dave, sold the TE37's, I really wanted 7j wheels. I wish I could have a nice aluminium intake pipe, but I don't know anybody that can bend that stuff, especially in 3.5"
Brother, what you need exactly im very good friends with probably one of the best fabbers around, especially if you need anything CNCing. Better yet, call me and we'll sort something out. Have you tried Ade @ amw Motorsport . HATE THE GAME, NOT THE PLAYER !! I've removed the 1" MC and I'm going to the move the prop valve a bit down, I think it should be fine then. If not, il give Ade a call.